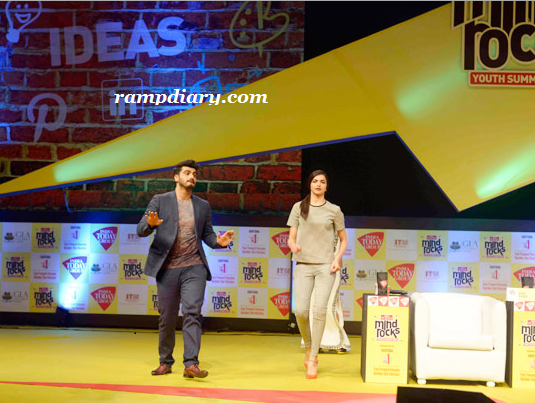 Wearing a Checked top along with checked trousers Deepika Padukone attended Mind Rocks Youth Summit 2014 in New Delhi recently. This dress was by Stella McCartney. She completed the whole look with a pony tail and orange pumps. She opted for dark lips. I loved the whole look. I am not able to get much of her clear pictures at the event but will very soon share some new pictures with you. More Pictures Inside. So, Do you like her look? I like her dress a lot!